The Amazer 3G is mass segment tyre that is aimed at entry level hot selling cars such as Maruti Suzuki Alto, Maruti Suzuki Wagon R, Hyundai Santro, Renault KWID etc. The tyre is developed using unique rubber compound that is the ideal combination of hard and soft compound, which results in better manoeuvrability and steering response under city setup and occasional long tours. Its low rolling resistance ascertains enhanced fuel efficiency, while the unique compound and tread pattern ensures long lifespan of the tyre. The Amazer 3G is offered in an array of variations and rim sizes to choose from. The tyre is backed by the Apollo Tyres' solid warranty and strong distribution network across the nation. 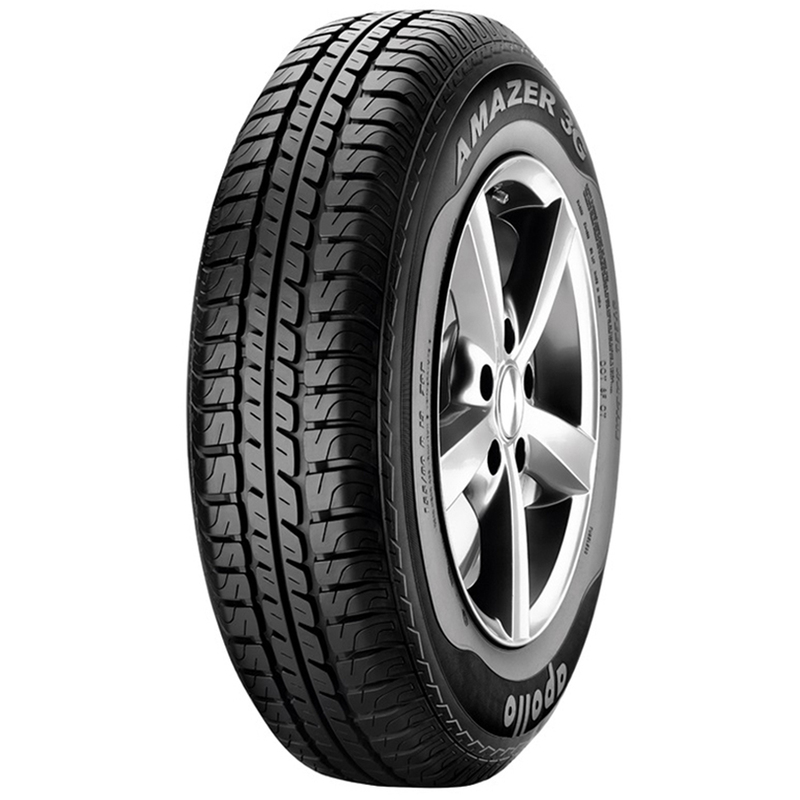 The Amazer 3G is mass segment tyre that is aimed at entry level cars in the market. It provides adequate grip and required manoeuvrability within city limits. The use of unique compound coupled with innovative tread design enhances tyre life. Its low rolling resistance ensures better fuel efficiency every time. The tread offers wide contact patch that ensures shorter braking distance. The overall sipe design, distinctive tread pattern and use of unique compound bestow safety under any weather condition. Apollo Amazer 3G offers improved handling due to low unsprung mass of the tyre. It is made available in sizes such as 12-inch, 13-inch and 14-inch with various variations. Amazer 3G tyre covers industry best Apollo's 2 year unconditional warranty.